I swear we don’t want to drink your blood! Photo courtesy of Peter Roberts. You want lives? We got lives. 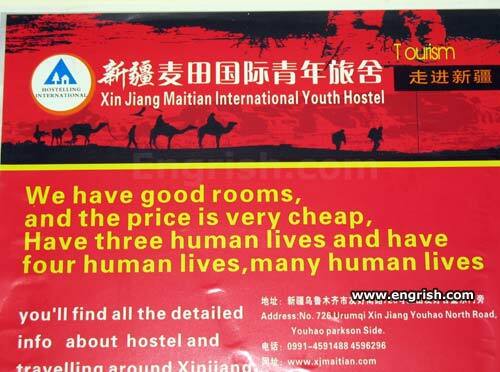 I believe they meant to state that the hotel have all sorts of choices: single rooms, double bed rooms and 3 bed rooms. My guess. I always wanted lives. Cool! Anyone see the movie “Hostel?” Here you go! The price for a room; your life. Fully stocked mini bar.